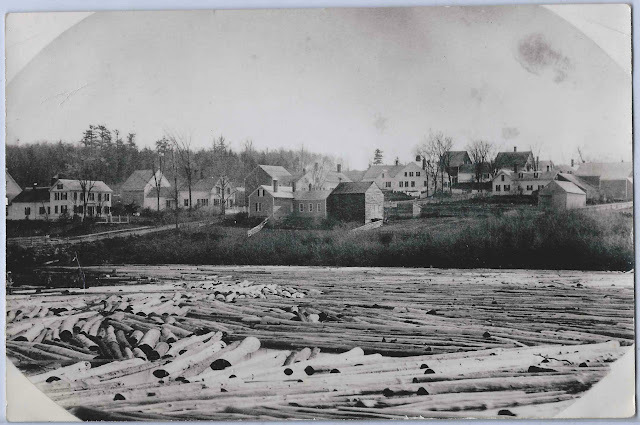 Undated photograph showing a mass of logs along Fleming Street at Lincoln, Maine. 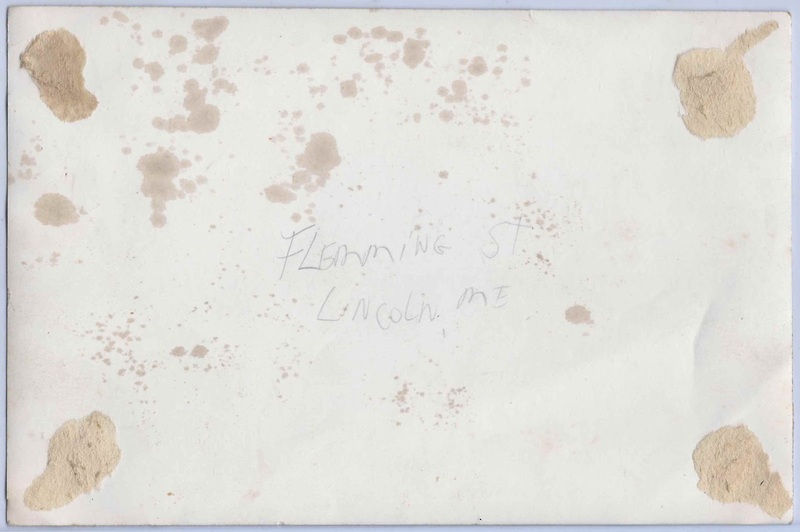 The identification on the reverse spells Fleming as Flemming. A map of Lincoln, Maine, shows Fleming Street as running along Mattanawcook Stream, where Lincoln Pulp & Tissue is sited. The first saw mills on this stream date to 1825. In fact, Lincoln was formerly known as Mattanawcook until incorporated as Lincoln in 1829. This scene would appear to be very close to the intersection of Fleming Street and West Broadway, where the waterfront is closest to the street. Zoom in to see the detail of the stream along its entire length, from Mattanawcook Pond to the Penobscot River. Much of the stream is a peaceful scene today, in the post-log-drive era. If you have additional information to share about this photograph, please leave a comment or contact me directly. Pam, May we use this photo in Bangor Metro magazine? If so, please call Sandy at 404-5157. Thanks!